Jade rollers have been around since the 7th century and was originally used by members of the royal family in ancient China. These rollers have one larger stone for bigger areas of the face (cheeks, jaw, forehead) and a smaller stone for harder to reach places (under-eye, mouth). 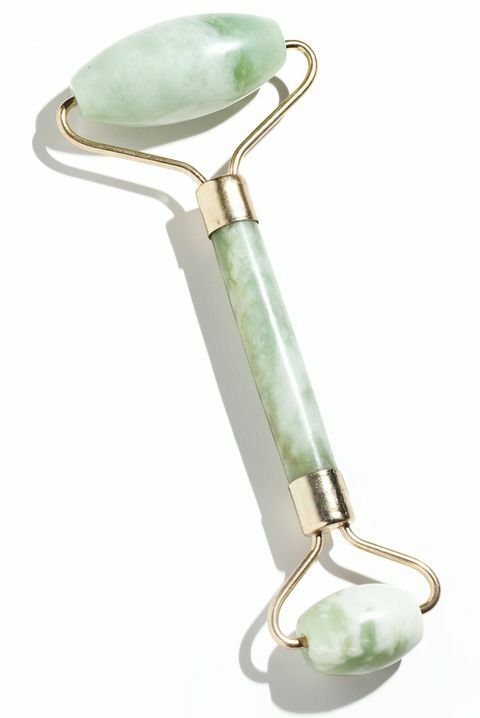 To use, start from the center of your face and roll the jade roller in an outward + upward motion. 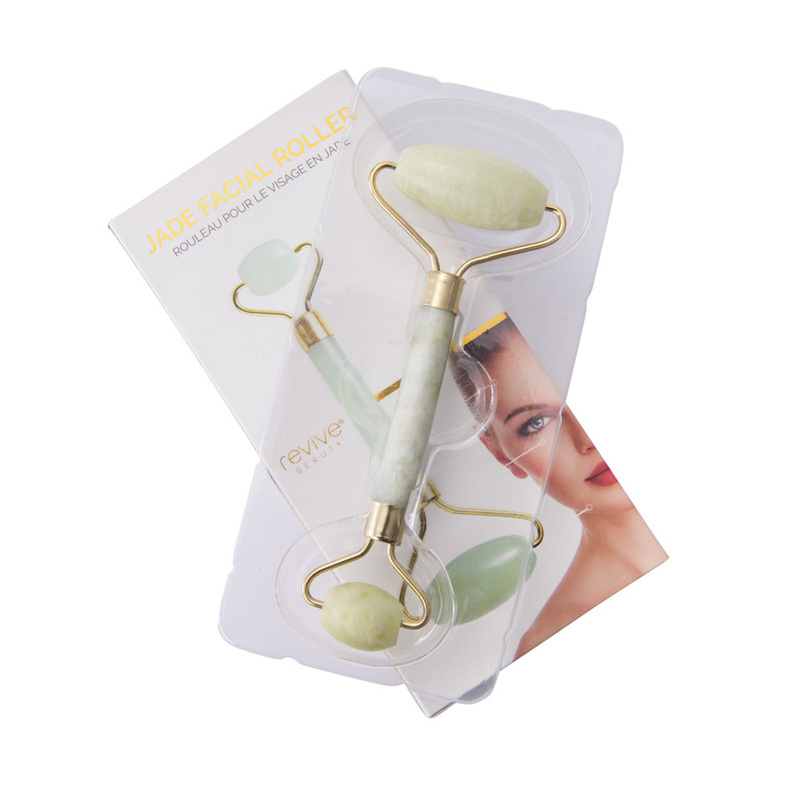 By using a jade roller every day, the upward massaging motion gives your neglected facial muscles some much-needed TLC and aids in relieving tension and detoxing the skin. The cooling properties of this roller also helps reduce puffiness, inflammation and soothes the skin. This is definitely one of those skincare rituals you'll actually look forward to doing! Calming yet effective, we're hooked! Tip: Place the jade roller in the refrigerator for 30 minutes before using for a longer-lasting cool therapy. Always use the jade roller on clean skin!